Equilibrium Finance has a strong relationship with the waste and recycling sector and we have built up an understanding of the issues that affect this growing industry. We have good working associations with manufacturers, dealers and end users of the machinery used in recycling and corn posting as well as with many trade associations. We would be very happy to have discussions with you if you are involved in any way with the environment and its resources, please do get in touch. Equilibrium is able to offer highly innovative and tailored sales aid funding solutions to vendors in a wide range diverse business sectors selling a wide range of capital goods. Dependant on volumes, documentation can be personalized to enhance your corporate identity. We have considerable financial and technical expertise which enables us to provide the finance facilities and services which will assist you to sell your product to an ever demanding customer. A professional sales-aid package will make it easier for your customers to purchase your products thereby making your offering more difficult to beat. The ability to shift the focus of the deal away from selling price to rentals and affordability will help to maintain your profit margin. We aim to provide a competitive range of options to finance your company cars. All methods of finance including Hire Purchase, Leasing and Contract Hire are available. In addition we are also able to help you source your new vehicle at a highly competitive price through our extensive network of dealer connections. 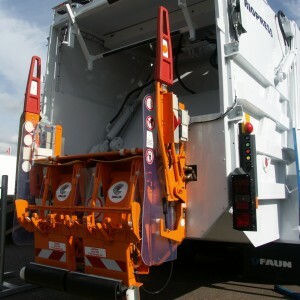 We are able to provide a complete solution for your Commercial Vehicle requirements. Our team have an extensive knowledge of the industry and a wide range of experience in structuring transactions to suit individual requirements. We have worked with major fleet users and the range of vehicles financed includes Tractor units; Rigids; Tankers; semi-trailers of all types, and specialist municipal/public sector vehicles. We offer options including Hire Purchase, Leasing, Operating Leasing and Long Funding Structures. We have also been able to locate and source vehicles successfully for some of our customers through our extensive range of dealer relationships. For some years Equilibrium has specialised in the provision of funding to Football clubs and other types of sporting organisations. During this period Equilibrium has forged relationships with many of the large Premiership Football Clubs and has been able to arrange multi-million pound facilities to assist with a wide variety of requirements. Our expertise in this field has been able to guide clubs and other organisations by enabling them to obtain competitive facilities.